Are you ready for some amphibian action? 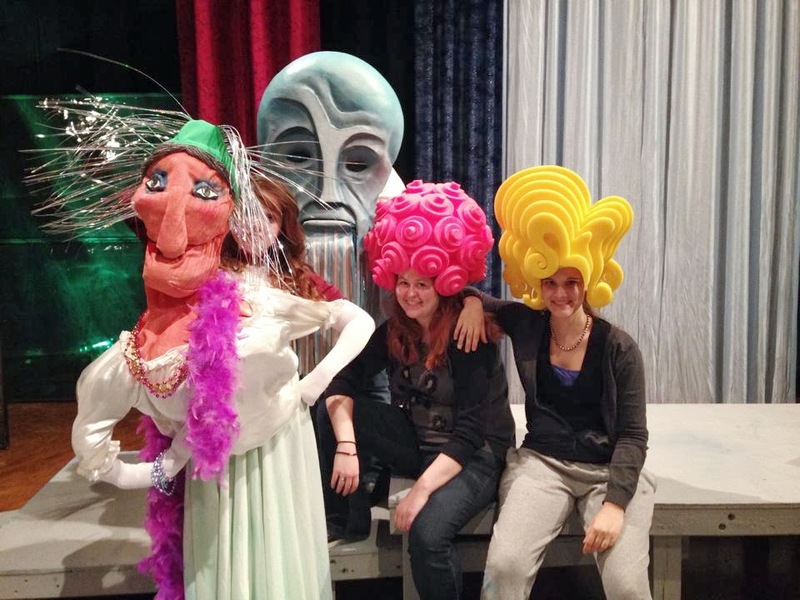 The classical Greek comedy The Frogs opens tonight at 7:30 pm at Pritchard Theatre on the campus of Eureka College. The original involves a journey to the Underworld and a verbal duel between playwrights Euripides and Aeschylus, but director Holly Rocke and her cast are making it look and sound a bit different for Eureka. Rocke characterized the production as "eclectic, zany and pretty to look at" when I asked her to sum it up in seven words or less. The pretty part comes from some over-the-top wigs and puppets, as well as a set that looks like a big pool of water even if it isn't really wet. 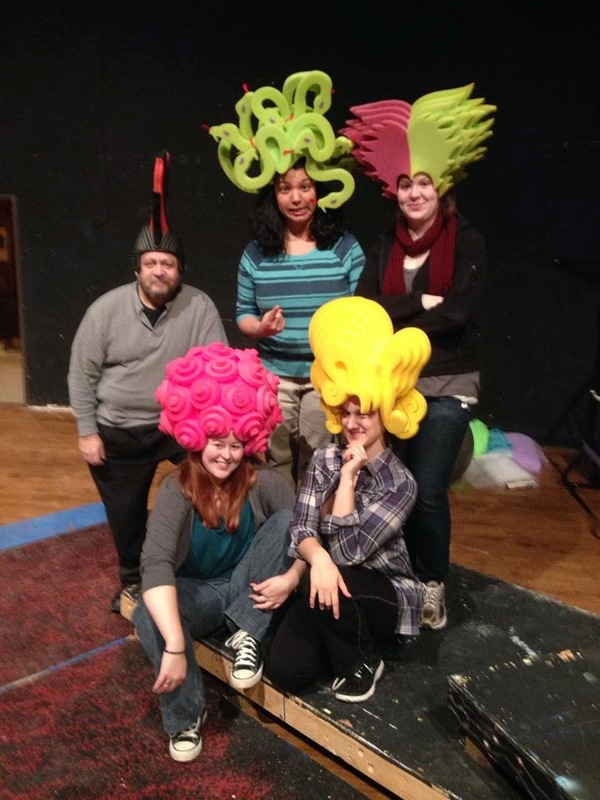 Some pictures have been shared on the Eureka College Theatre Facebook page that show off the wiggy stuff nicely. Rocke's cast includes Anna Dabrowski as Pluto, Belle Grober as Dionysus, Hannah Lane as Xanthais, Kelli Robison as Aeschylus, Kevin Wickart as Euripides, Prabhu Venkataraman as Heracles, Hattie Standridge as a snake charmer and member of the chorus, and Ashleigh Feger as a ribbon twirler and member of the chorus. Wickart appears in the far left in the image below, with a sort of red mohawk wig. Ought to be entertaining to find out what that's all about! Tonight's performance begins at 7:30, and the doors open at 7 pm. Wednesday, Thursday, Friday and Saturday performances are also scheduled for 7:30 pm, with a Sunday matinee on March 2nd at 2 pm. You can check out the event page for more info.